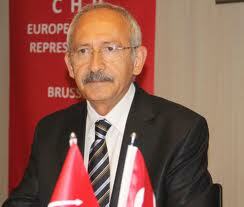 "We fully agree with the European Commission’s critical conclusions on the human rights situation in Turkey and we urge once again the Turkish government to accelerate the reform process in order to apply the acquis communautaire (the laws and principles of the EU) and the Copenhagen criteria, both in legislation and in practice. "Relations between Turkey and the European Union must be strengthened, particularly through the accession negotiation process. "Turkey, as a candidate country for EU membership, has rights and obligations, and fully respecting the rule of law and fundamental rights – particularly media freedom and judicial independence – is an obligation and a precondition for European integration. "We call on the Council to restart the accession process with Turkey by opening negotiations on new chapters, particularly in the area of fundamental rights, justice and home affairs." “We regret the delay in the publication of the enlargement package this year. There are always forthcoming elections in one or more of the countries. The delay in making Europe’s position public in advance of the Turkish elections could be said to have had a domestic political impact on those elections, just as much as having gone ahead and published before the elections. “The S&D Group has always been a great supporter of Turkey’s integration with the European Union. Hence, we welcome the idea of opening new, relevant negotiation chapters. We also consider Turkey as a central partner in facing the migration crisis, as well as a major player in solving the conflict in Syria.